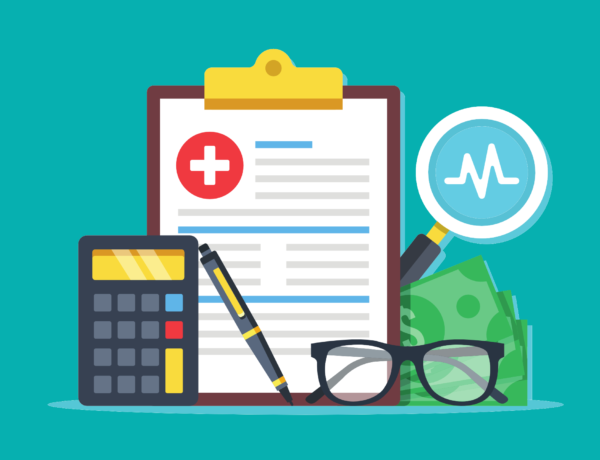 2019 Medicare Physician Fee Schedule: What You Need to Know | CIPROMS, Inc. 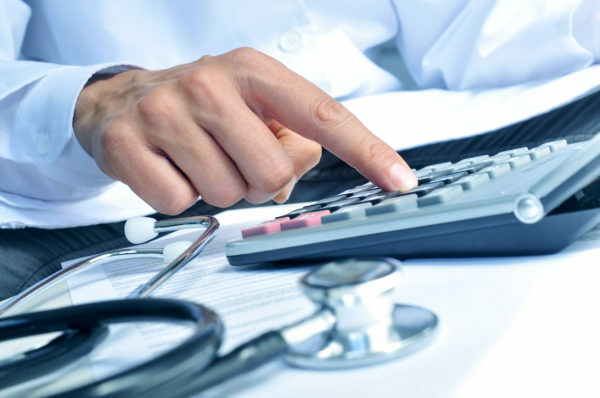 The Centers for Medicare and Medicaid Services (CMS) recently published the final rule of the Medicare Physician Fee Schedule for 2019. At the heart of the revised policy is the annual conversion factor update. After legislatively mandated adjustments, including the .25 percent MACRA increase, for 2019, the conversion factor is $36.04, a slight increase above the 2018 PFS conversion factor of $35.99. In addition to setting the payment rates for 2019, the Final Rule also implements changes to several payment policies. We’ve highlighted a few of the biggest changes below. In the proposed rule, CMS recommended a number of coding and payment changes regarding evaluation and management (E/M) visits in the office/outpatient setting, including various documentation options and a rolled up set up E/M codes that would eliminate the spread of level 2 through 5 visits. In the final rule, CMS decided to leave current documentation guidelines alone for 2019 and 2020, requiring practitioners to use either the 1995 or 1997 E/M documentation guidelines to document E/M office/outpatient visits billed to Medicare. For established patient office/outpatient visits, practitioners can focus their documentation on what has changed since the last visit, or on pertinent items that have not changed, rather than re-record the defined list of required elements if it’s already contained in the medical record. The practitioner should still review prior data, update as necessary, and indicate in the medical record that they have done so. Additionally, for new and established E/M office/outpatient visits, practitioners do not need re-enter the patient’s chief complaint and history if it already has been entered into the medical record by ancillary staff or the beneficiary. The practitioner may simply indicate in the medical record that he or she reviewed and verified this information. Also, teaching physicians are no longer required to re-enter information in the medical records that was previously documented by residents or other members of the medical team. Additionally, the 2019 Final Rule eliminated the requirement to document the medical necessity of a home visit in lieu of an office visit. Practitioners will be allowed to choose to document E/M office/outpatient level 2 through 5 visits using medical decision-making (MDM), time, or the current framework of applying the 1995 or 1997 E/M documentation guidelines. For E/M office/outpatient level 2 through 4 visits, when using MDM or current framework to document the visit, only a minimum supporting documentation standard currently associated with level 2 visits will be required. When time is used to document, practitioners will document the medical necessity of the visit and that the billing practitioner personally spent the required amount of time face-to-face with the beneficiary. Add-on codes will be implemented that will describe the additional resources inherent in visits for primary care and particular kinds of non-procedural specialized medical care, including an “extended visit” add-on code. These codes would be reportable only with E/M office/outpatient level 2 through 4 visits, and their use generally would not impose new per-visit documentation requirements. CMS will gather additional information from the public prior to 2021 in order to further refine the new policies. As well, based on concerns raised by commenters to the proposed rule, CMS decided not to continue with plans to reduce payments when E/M office/outpatient visits are furnished on the same day as procedures or establish separate coding and payment for podiatric E/M visits. As telehealth becomes more widely used and accepted, for 2019 CMS has finalized their proposal to add several new codes and pay for additional services. Second, in 2019, CMS also will pay separately for new coding describing chronic care remote physiologic monitoring (CPT codes 99453, 99454, and 99457) and interprofessional internet consultation (CPT codes 99451, 99452, 99446, 99447, 99448, and 99449). While technically under the Medicare Hospital Outpatient Prospective Payment System Final rule, the issue of site neutrality does affect physicians in various places of service. Over the next two years, CMS will implement a Physician Fee Schedule (PFS)-equivalent payment rate for clinic visit services provided at off-campus provider-based departments (PBD). According to CMS, this policy would result in lower copayments for beneficiaries and savings for the Medicare program in an estimated amount of $380 million for 2019, the first year of a two year phase-in to implement the policy. For an individual Medicare beneficiary, current Medicare payment for the clinic visit furnished in an excepted off-campus PBD is approximately $116 with $23 being the average beneficiary copayment. The policy to adjust this payment to the PFS equivalent rate would reduce the OPPS payment rate for the clinic visit to $81 with a beneficiary copayment of $16 (based on a two year phase-in), thus saving beneficiaries an average of $7 each time they visit an off-campus department in CY 2019. Finally, CMS has proposed a few important changes to the MIPS program. CMS will use a third criterion for determining MIPS eligibility. For 2018, clinicians or groups were excluded from MIPS if they had ≤ $90K in Part B allowed charges for covered professional services or if they provided care to ≤ 200 beneficiaries. In addition to those two criteria, for 2019, clinicians or groups may be excluded if they provide ≤ 200 covered professional services under the Physician Fee Schedule (PFS). However, CMS has created a new “opt-in feature” for excluded clinicians and groups. For 2019, clinicians or groups would be able to opt-in to MIPS if they meet or exceed one or two, but not all, of the low volume threshold criterion. Next, for 2019, providers must earn a final score of at least 30 points to avoid a negative payment adjustment (only 15 points were needed in 2018), and providers must earn at least 75 points for an exceptional performance bonus. Providers who receive a final score at or above this performance threshold receive a zero or positive payment adjustment and a score below the performance threshold would result in a negative adjustment. As required by statute, the maximum negative payment adjustment is -7 percent, and positive payment adjustments can be up to 7 percent, but as in the past, they are multiplied by a scaling factor to achieve budget neutrality. Also, the Balanced Budget Act of 2018 changed the way MIPS payment adjustments are applied. Under the new guidelines, adjustments will not apply to all items and services under Medicare Part B, but only to covered professional services paid under or based on the Physician Fee Schedule. This change begins with payments issued in 2019 (based on the 2017 performance year), which is the first payment year of the program. This represents a slight change from 2018 when Quality represented 50 percent of the final score, and cost only 10 percent. In addition to receiving a new name, under the final rule the Promoting Interoperability (PI) Performance Category will require eligible clinicians to use 2015 Edition CEHRT in 2019. For the first two years of MIPS, providers had the option to use either the 2014 or 2015 Edition CEHRT or a combination of the two. CMS also finalized a new scoring methodology for the PI category. They will eliminate base, performance, and bonus scores and adopt a new performance-based scoring at the individual measure-level. Each measure will be scored based on the clinician’s performance for that measure based on the submission of a numerator or denominator, or a “yes or no” submission, where applicable. 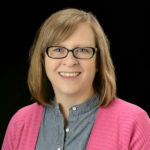 Finally, in the 2018 final rule, CMS established individual eligibility criteria for MIPS eligible clinicians who furnish 75 percent or more of their covered professional services in sites of service identified by inpatient hospital or emergency room POS codes to be evaluated under facility-based measurements used in the Hospital Value-Based Purchasing (VBP) Program rather than MIPS scoring beginning in 2019. CMS will automatically apply facility-based measurement to MIPS eligible clinicians and groups who meet the eligibility requirements and who would benefit by having a higher combined quality and cost score. Individual clinicians and groups who receive facility-based measurement must submit data in the Improvement Activities or Promoting Interoperability performance categories in order to to maximize your final score. First, they will add on-campus outpatient hospital (as identified by POS code 22) to the settings that determine whether a clinician is facility-based. Second, CMS will require a clinician to have at least a single service billed with the POS code used for the inpatient hospital or emergency room. Third, if they are unable to identify a facility with a VBP score to attribute a clinician’s performance to, that clinician is not eligible for facility-based measurement. Fourth, CMS will align the time period for determining eligibility for facility-based measurement with the dates used to determine MIPS eligibility and special status. FINAL RULE: Medicare Program: Revisions to Payment Policies under the Physician Fee Schedule and Other Revisions to Part B for CY 2019; Medicare Shared Savings Program Requirements; Quality Payment Program; Medicaid Promoting Interoperability Program; etc.